You might be familiar with this edition of AddThis Site of the Week. Do you like beautiful photos of exotic locales, adorable animals and amazing anthropological experiences? Then you might know about a little organization called National Geographic! And when we say little, we mean big. 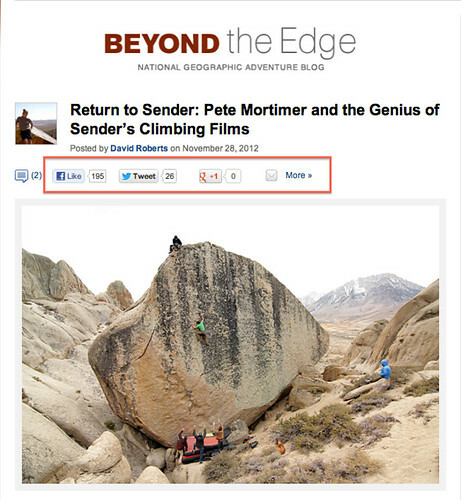 Yes, Nat Geo uses the AddThis for their sharing integration! When a influential player like National Geographic chooses us for their community to share such rich and enlightening content, we are beyond flattered. 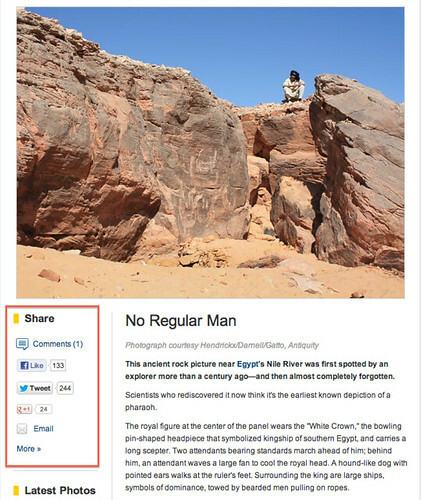 Nat Geo has gone a popular route with their sharing implementation that is common with many publishers. They have leveraged our support of the 3rd party sharing buttons. These buttons are the ones put out by the individual services, such as Facebook and Twitter. The advantages of using AddThis for these buttons is that you can get your button code all in one place, instead if having to rely on multiple sources. And even more importantly, we act as the middleman. Facebook changes their API? We’ve got you covered. They are using Facebook Like, Twitter Tweet and Google +1, along with displaying our email icon. Rounding out the experience with an email icon is always a smart move — it is one of the most popular ways to share content. If you want any of these buttons, or want to check out even more of the third party integrations we support, we’ve recently updated our social plugins page to make it easy for you to find them!